In November, Helsinki will be filled with startups from different tech sectors. We’re proud to introduce the first 100 and give you a better glimpse at the products of three of the firms. Last year a total of 1,200 companies attended Slush. The startups, a rough third of which were Finnish, came from 68 different countries. The largest individual areas were Scandinavia with 47,6 %, Russia with 14 % and the Baltics with 12,8 %. Most of the rest came either from elsewhere in the Eurasia or from the United States. Slush 2014 takes us to the next level. The event is moving out from Kaapelitehdas to Messukeskus (Expo and Convention Centre Helsinki), and the multiplied size of the area allows us to host twice as many meetings between investors and startups compared to 2013. We are expecting more than 2,000 companies this year – here come the first 100 along with a few examples of their work. It is common that children with diabetes are made to skip school activities or trips because their parents are too worried their blood sugar levels will drop. It is natural for a parent to act this way, but it makes the life of a young diabetes patient a lot harder than it should be. Modz’s self-care product, the MODZ blood glucose meter and wireless cloud service, could be a life changer for young diabetes patients. After testing blood glucose levels, the meter sends the results to the diabetic child’s parent’s phone. The meter also reminds and motivates its user to test the blood levels. MODZ makes testing colourful and fun for children, gives a sense of security for parents and provides a vast amount of information for older users. Have you ever been on a transatlantic flight, trying to fall asleep in your uncomfortable economy class seat, unable to adjust the seat to a sleeping position because of the whiny, long-legged passenger behind you? 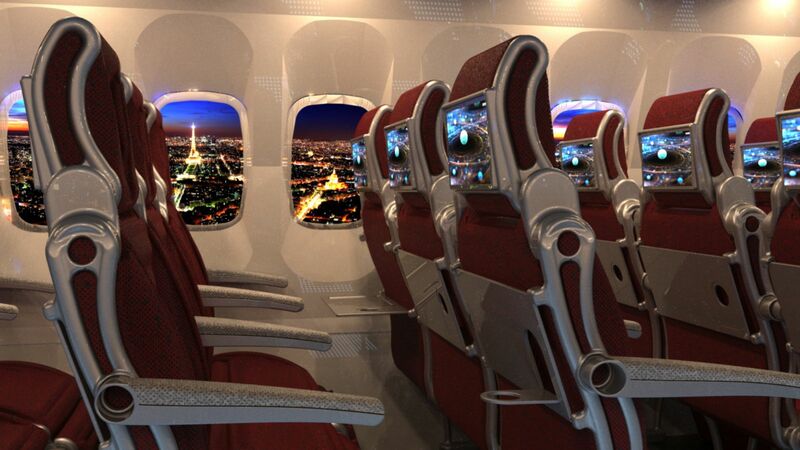 AirGo wants to bring passenger-friendly seats to people who can’t afford business class tickets. Their ergonomic seats are made of a material that adapts to the form of the body, repels spills, allows air circulation and reduces vibration. The AirGo designs also include touch screens, automatically operated tray tables and much more. The seats could be used in other mass transportation as well, such as trains, buses and ferries. More personal space, with only 16 % more occupied floor space. Now it’s only up to airlines to start providing us with this comfort. A group of ex-Skypers saw a problem with the dynamics of current team messaging. If you wanted to add a new member to your group, you usually needed to mail them an invite, wait for them to confirm it and only start messaging after the recipient had created an account. Exhausting and time-consuming. The group created Fleep, with which you can just add a person’s e-mail to your chat and the conversation will be directed to the contact’s mailbox – no registration needed. The contact will be able to join later, and use the full service with its pinboards and file drawers. This is how Fleep combines e-mail and real-time messaging. Oh, and there’s none of those irritating ads to be seen. Fleep has already raised about $800k in funding, investors including the CEO of Teleport, Sten Tamkivi. Impressive! Joanna is an information networks student, who is passionate about design and creative ideas that make a difference. She wants to help startups flourish by delivering inspirational stories through Slush News and the social media.